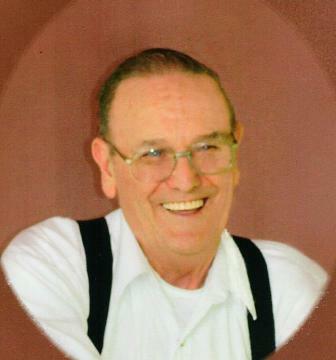 William “Bill” Schreckengost, 79, of Salamanca, New York died Saturday afternoon, October 17, 2015 at Olean General Hospital. Born January 5, 1936 in Salamanca, New York, he was the son of the late William “Earl” and Zelda McStraw Schreckengost. He was married on January 7, 1956 to the former Carol Poling, who survives. He had been employed as a kiln operator with RF Dry Kiln in Salamanca. Previously, he was employed as a foreman with Fitzpatrick & Weller in Salamanca. Mr. Schreckengost was a member of the Church of Christ in Salamanca and a former member of the American Legion Hughes-Skiba Post 535. He enjoyed playing guitar, bowling, fishing, and spending time at the Senior Center. Surviving besides his wife are: two sons, LeRoy (Jamie) Schreckengost, Vail, AZ, Adam (Patti) Schreckengost, Hamburg, NY; five daughters, Carla (David) Van Note, Eden, NY, Dodie (Jay) Nolet, Salamanca, NY, Tina (Paul) Gullifer, Kane, PA, Fay (Mike) Schaefer, MD, Mary (Billy Owens) Forness, Kill Buck, NY; 14 grandchildren; 18 great-grandchildren; a sister, Laura Rogers, Randolph, NY; several nieces and nephews. Memorial visitation will be held at the Senior Center on Main Street in Salamanca on Saturday, October 24, 2015 from 10 – 11 a.m., at which time a memorial service will be held with Bruce Roberts officiating. Funeral arrangements are under the direction of the O’Rourke & O’Rourke Inc Funeral Home, 25 River Street, Salamanca, New York.